Edinburgh, the capital city of Scotland is one of the most beautiful cities in Europe and attracts millions of tourists each year. 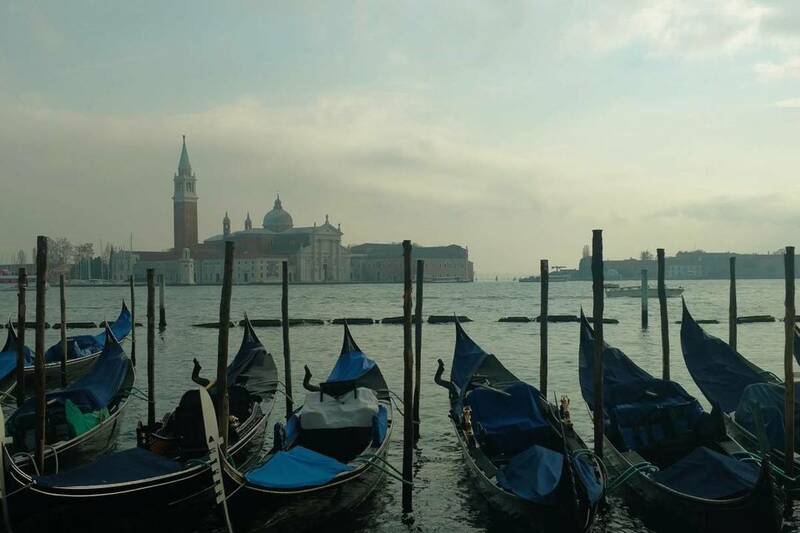 This article provides you with some tips from the point of view of a local to help you avoid being a typical 'annoying tourist' and also helps you avoid some of the typical tourist traps. One of the worst faux pas you can commit in Scotland is to believe you are in England. 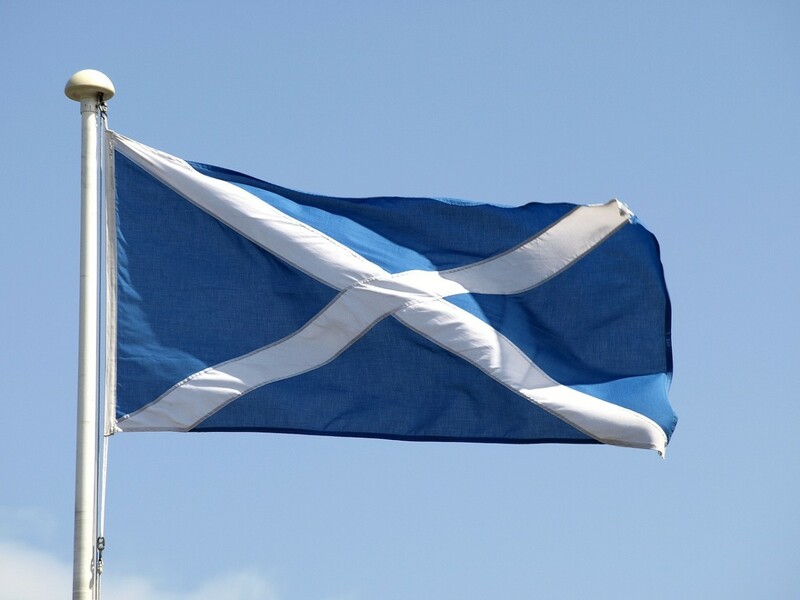 Scotland is not part of England, but a separate nation that joined with England in a Union in 1707 to form Great Britain. In 2014 there was a referendum on whether Scotland should become an independent country. The result was close, but Scotland voted to stay in the United Kingdom. Regardless no Scot is happy about their country being mistaken as part of England. The video below provides a handy guide on the difference between the UK, Great Britain and England. During the nineteenth and early twentieth centuries millions of people emigrated from Scotland to Canada, the United States, Australia, and many other countries throughout the world. It is great that their descendants wish to come and visit the country their ancestors came from. Just don't expect the locals to be really impressed that your 'great great grandmother came from the clan Campbell, and was brought up on the Isle of Skye'. There are millions like you. Feel free to wear a kilt in Scotland whenever you feel like it. However you should be aware that most Scottish people only wear kilts on special occasions, for example to weddings or ceilidhs. You are quite welcome to proudly wear your kilt whilst walking along Edinburgh's busiest shopping street, just bear in mind that it is most likely to identify you as 'wealthy American tourist who thinks he is Scottish' in the minds of observers. Despite what the owners of hundreds of shops in Edinburgh would like you to believe, your clan probably does not have its own tartan pattern going back hundreds of years. There is evidence that highlanders wore tartan cloth as far back as the seventeenth century. It was worn in the eighteenth century by members of the Highland Regiment Clan, and there is some evidence to suggest that members of different families may have worn different colours so they could be told apart. However the tradition of tartan as Scotland's national dress dates from the nineteenth century when it was popularized by George IV, and a romantised version of Scotland's past. The rules about which tartan you can wear depending on which family you come from all date from then. Admittedly some people do take tartan seriously, and if you are joining some sort of 'clan gathering' it may be worth researching properly. Otherwise approach your purchase with a degree of cynicism, and if your tartan happens to be a particularly hideous combination of colours, don't feel bad for buying a different one, and be aware that the tartan you buy in many of the tourist shops was most likely made in China anyway. Also note that most 'clans' come from the North of Scotland. If your ancestors came from the Lowlands your links to tartan are even more tenuous. 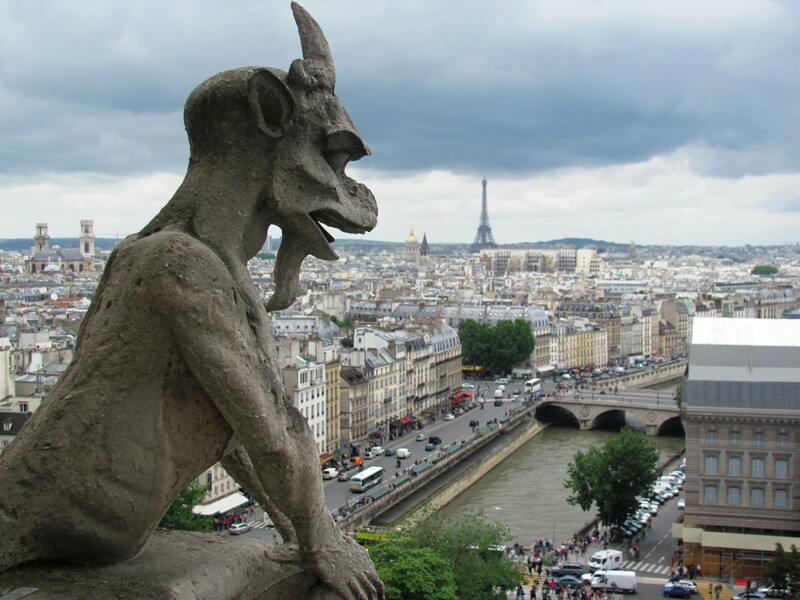 One of the main reasons that American tourists have a bad reputation in Europe is that some of them talk VERY VERY LOUDLY. Please remember that everyone around you does not want to hear your conversation. Please try not to, especially if you are in a big group. For example the tourists in the photograph below are blocking the pavement forcing anyone who wants to get past to walk on the busy road. Greyfriars Bobby was a Victorian dog who, so the story goes, was so upset when his owner died that he spent the next fourteen years sitting at his owner's grave. A statue was erected in his memory in 1872 and can be found at the top of George IV Bridge near the corner of Chambers Street. In recent years somehow a rumour started that it was good luck to rub Bobby's nose. This has resulted in damage to the nose, so please stop rubbing it- there is no tradition of doing so. Just down the road from Greyfriar's Bobby you can find a cafe called the Elephant House which advertises itself as 'the Birthplace of Harry Potter'. Except well, it isn't really...it was one of several cafes that JK Rowling visited when writing Harry Potter. The one which she spent most time writing in was a cafe around the corner on South Bridge called Nicholson's Cafe, which was owned by her brother in law. Nicholson's Cafe has since closed down, and having been a Chinese restaurant for a few years, is now a cafe/restaurant called Spoon, with nothing to do with Harry Potter. If you are looking for a coffee there are many many other places you could try. The Elephant House is packed with tourists taking photographs of its not particularly exciting interior, and outside is another hotspot for people blocking the pavement by taking photographs. Most buses in Edinburgh don't give change, so have the correct fare ready or accept you are going to lose a few pence. Details of bus fares are displayed at most bus stops. The bus drivers in Edinburgh are not well known for being friendly, but most of them will agree to let you know if the bus has reached a particular stop. Your fellow passengers might be able to help too. 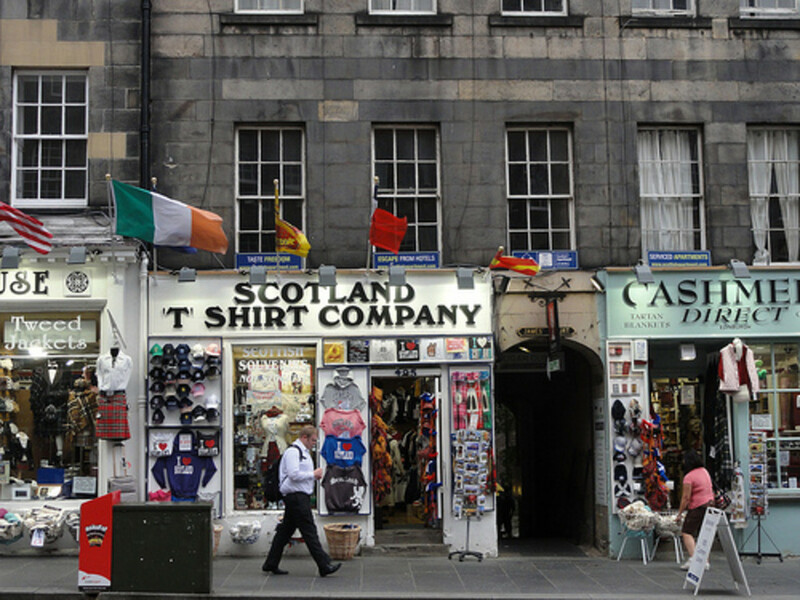 There are many shops in Edinburgh that sell souvenirs that can be best described as junk, especially on the Royal Mile. Try not to encourage these shops by spending large amounts of money on overpriced shortbread, bags with 'I love Scotland' written on them, or Loch Ness Monster themed toys (Loch Ness is over 160 miles away from Edinburgh). Also note a lot of the merchandise in these shops is in fact made in China. There are some shops that do sell good quality items made in Scotland. It is usually easy to tell them apart. If you aren't sure a good way to tell whether you should visit a tourist shop is the volume of bagpipe music blaring out from the shop. If you can hear the music from outside don't go in. The Scottish are possibly not quite so keen on queuing as the English are. 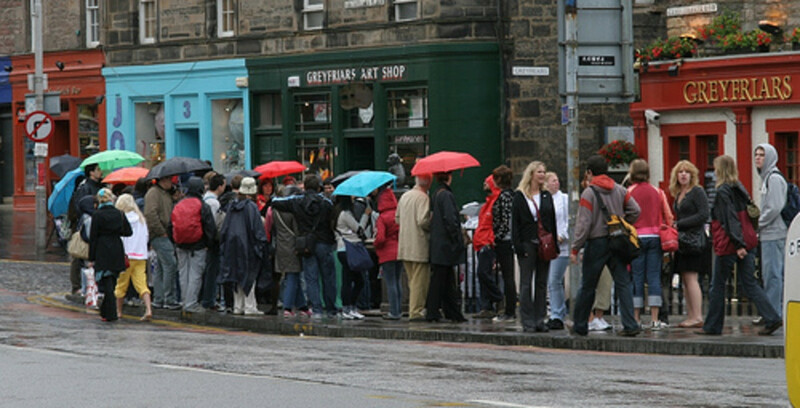 Nevertheless in Edinburgh people do like to queue, i.e. stand in line and wait for their turn. Please don't barge to the front of queues. Every August Edinburgh hosts a number of arts and cultural festivals including the Edinburgh International Festival and the Edinburgh Festival Fringe. During this month Edinburgh hosts thousands of theatre, comedy and musical productions. If you are interested in this, then August is a good time to visit. If your main interest is in exploring Edinburgh Castle and other tourist sites, come during a different month, it will be a lot less busy. Haggis is the national dish of Scotland. Some people will tell you it is made from the inside bits of the sheep. 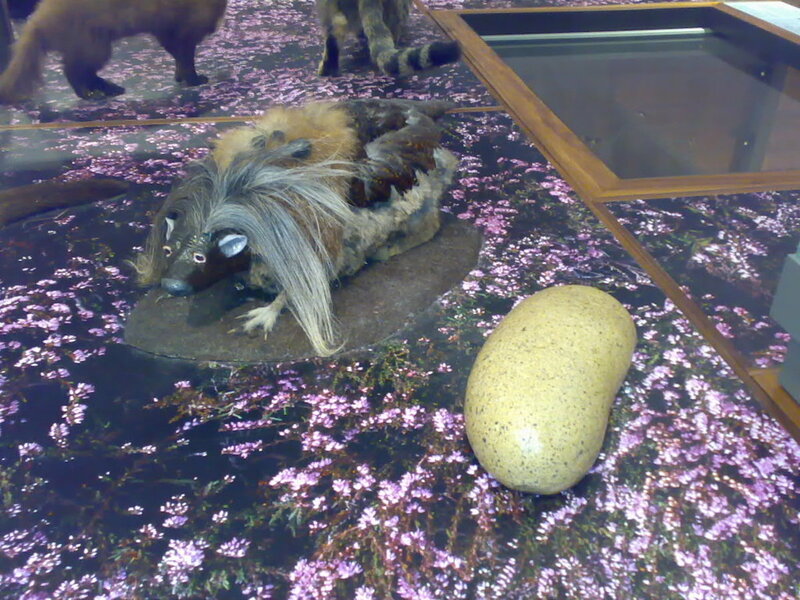 In actual fact the real haggis is an animal. Its legs are shorter on one side than the other in order to aid it in running round hills. If you are really lucky you may spot haggi running round Arthur's Seat. They are very fast though and notoriously tricky to photograph. Or at least that's what you might get told down the pub. It is not pronounced Edin-borrow. 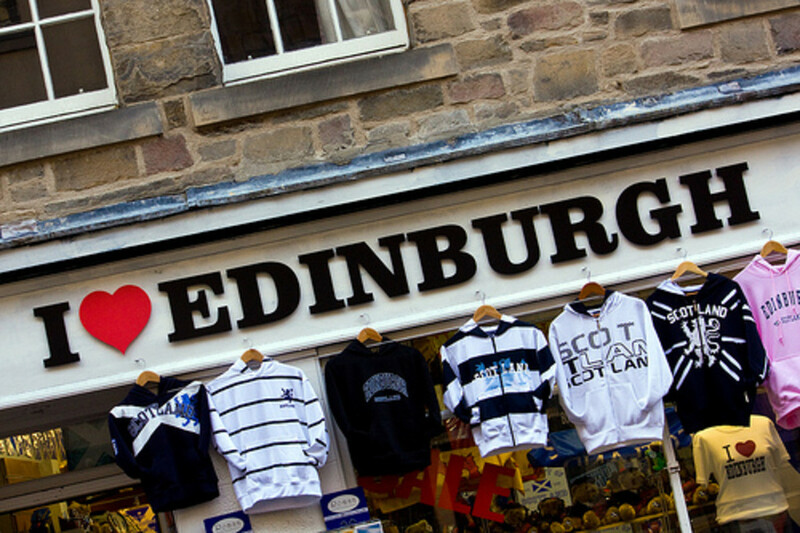 It is Edin -bur-a or maybe Edin-bra if you are speaking quickly. The main shopping street is called 'Princes Street' not 'Princess Street'. Tipping is not mandatory in Scotland in the same way as it is in the USA. It is usual to tip in restaurants with an extra 10%, but not compulsory. Scots won't always tip at other places, and wouldn't dream of tipping at a pub when buying drinks. You can tip your tour guide or at your hotel if you like though, if you are an American tourist it may be expected. It is no exaggeration to say that the British are obsessed with the weather. Scotland has a relatively mild climate compared to many other places, the problem with the weather is that is always changes. It can be brilliant sunshine one minute, and the next bucketing down with rain. You may want to be prepared for this eventuality. Bear in mind that if it is windy umbrellas are mostly useless. 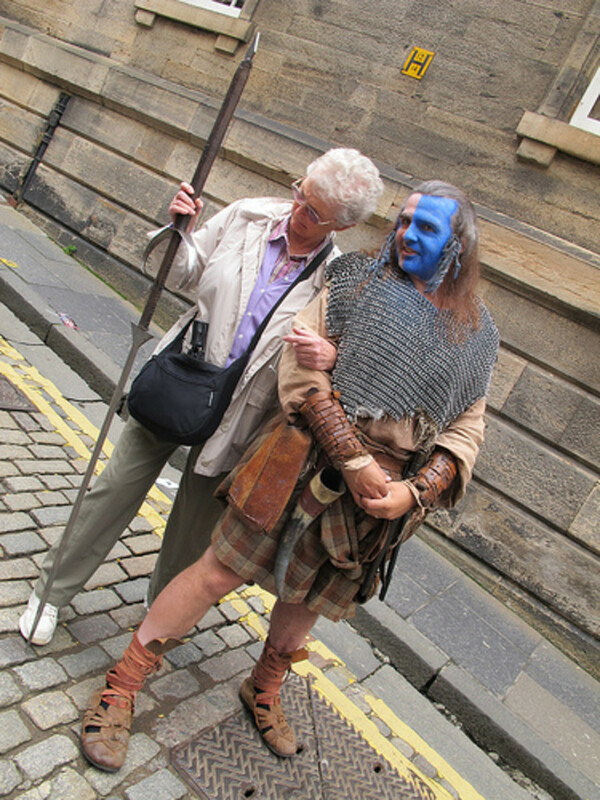 Most people in Edinburgh are friendly, certainly more so than the majority of Londoners for instance. However some people in Edinburgh can be quite reserved (on average people through in Glasgow, and in other smaller towns in Scotland are more friendly). If you want to strike up a conversation with a local a good way to start is to make some casual observation about the weather. e.g. "sunny today isn't it? ", "shame about the rain". Another thing the British are famous for is moaning. 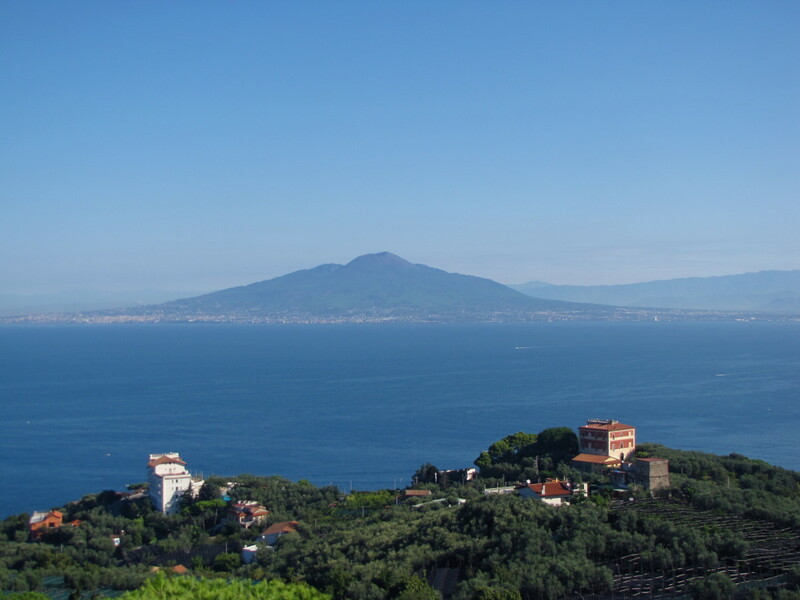 This article is partly just a moan about tourists. Part of it is not even true. It is also possible other locals will strongly disagree with me. 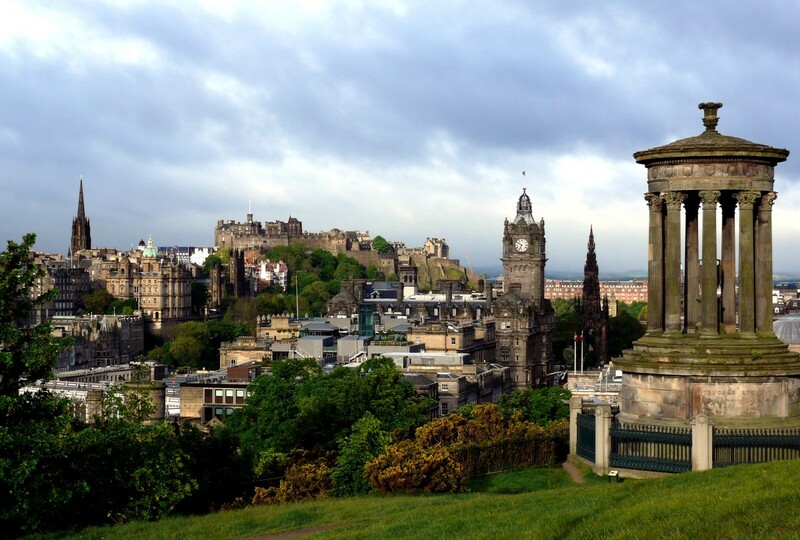 Do you say " Edinburgh, Scotland or Edinburgh, United Kingdom?" Loved reading this post. Fantastic combination of the useful and the tongue in cheek humour. Was laughing out loud every other sentence! Looking forward to our visit in May even more now! We will be there the end of February to visit our grand daughter who is studying there. This is not our first visit but the last was a long time ago so enjoyed your tips. These are great tips! I laughed out loud at the idea that tourists might mistake Scotland for England... then I remembered a tourist in San Francisco who asked me whether or the Bay (of which we were standing on the shores) was the ocean or not. I guess people are clueless all over. Thank you for your comments- glad you enjoyed and got the joke..
Great tips and I like your tongue-in-cheek style. I totally got the haggis-is-an-animal-wink-wink. American tourists can be a real pain. I know, I am one (but I could probably blend in better than most). Number one tip: DON'T CONFUSE SCOTLAND WITH ENGLAND! You are wise. Hi Jamie - it's a common joke that myself and my friends have told others in the pub...but maybe I will make that a bit more obvious. As an Edinburonian (?? 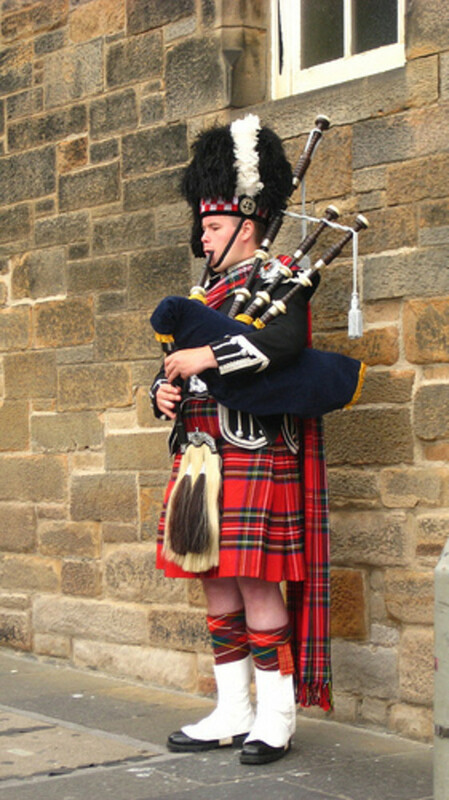 ), it grates me when a tourist describes themselves as pre "Scotch" as opposed to Scottish. Scotch is a drink and if you are 100% pure, then yes better check yourself into the local clinic. Also, it's very cliche to ask where Greyfriar's Bobby or King Arthur's Mountain is. The place is called Arthur's Seat and it lies beside the Palace of Holyroodhouse, or Holyrood Palace as we locals like to call it. It takes an hour to reach its summit and be prepared to walk, even scramble, up it's side from Dunsapie Loch, a small body of water, more representative of a large swan & duck-infused pond, located within it's heart. Finally, I would say avoid the cliche of asking to visit Loch Ness this morning and thinking you'll be home in time for tea. It's nowhere near Edinburgh, but a 3.5hrs drive up into the Highlands. There are plenty of daily coach tours will take you there, as part of a 12 hour round trip of the Highlands, which often include Glencoe, Spean Bridge near Ben Nevis, the UK's highest mountain, and some of the more rugged, V-shaped valleys with Lochs (lakes) that form part of Great Glen of Scotland. On your way there, you'll likely take in one of the beautiful Perthshire towns surrounded by thick forestry. You do know that Glasgow is 4 times bigger than Edinburgh. Really enjoyed your local take on Auld Reekie. I spent 5 years in Scotland, 2 of those years in South Queensferry whilst working in the capital. Loved my time there in the One World Shop near to St Giles and the fabulous gothic graveyards. And the view from Arthur's Seat on a clear blue day, wondrous. Thank you very much- glad you enjoyed it! I believe this is one of the most brilliant (i.e., honest and refreshing) travel pieces I've come across... and funny as all get-out! I'm one of those wretched Canucks whose family has been away from the Old Sod for 5 generations, but who likes to daydream about illustrious foreign ancestry-- or, if not illustrious, at least fascinating. 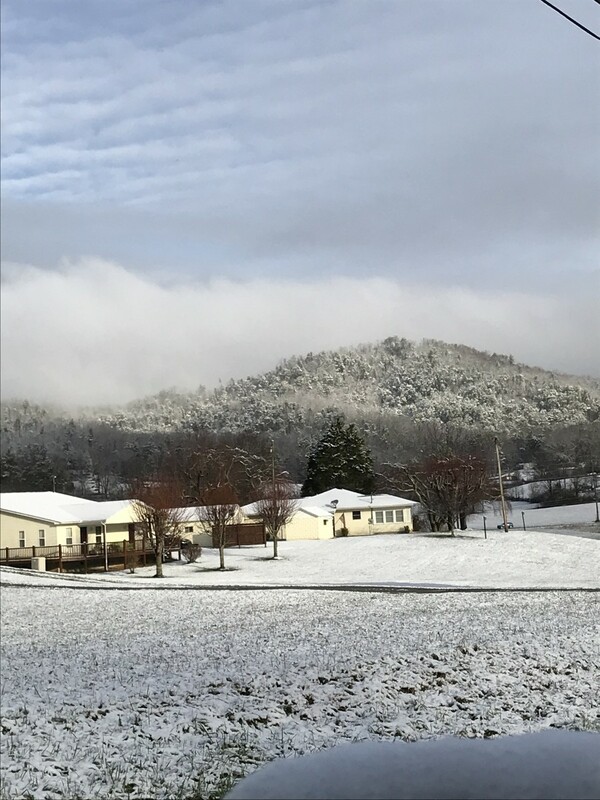 Thanks for giving us a "local's view"! Voted up, useful, funny, and interesting, and sharing! 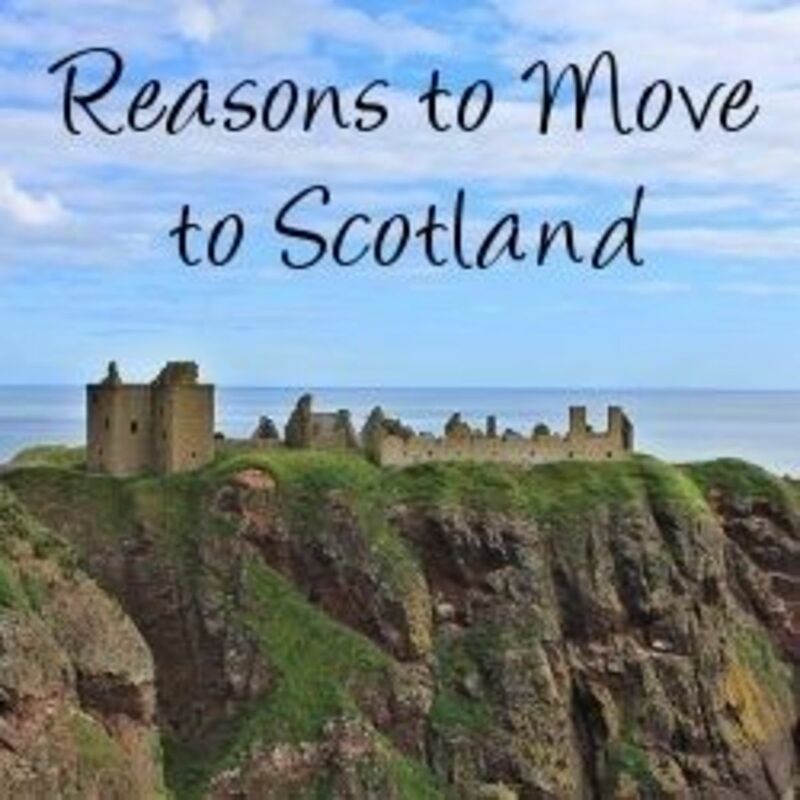 Thinking of a trip to Scotland this summer. My son lives in Beijing and we usually try to find a destination where we can meet and have a little vacation at the same time. 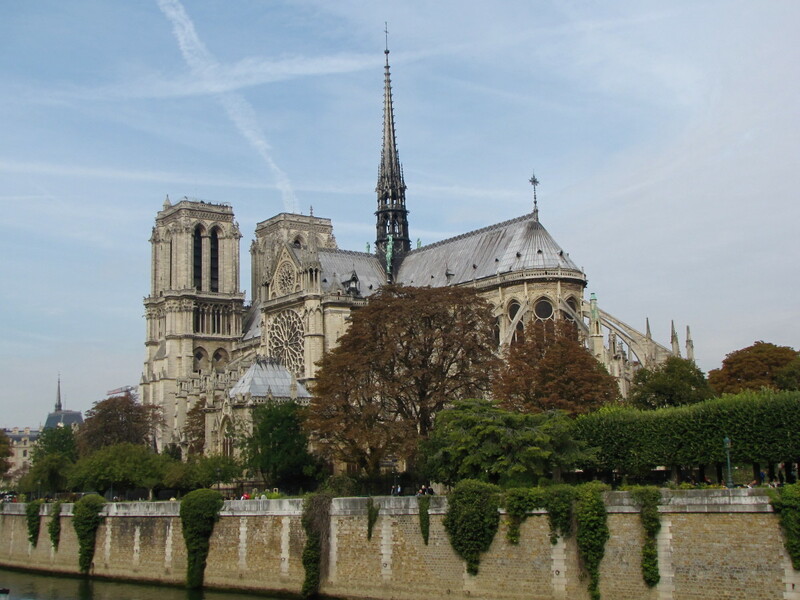 I don't want to get stuck in the typical tourist rut, don't like the large crowds of people. For some reason, it's a country I've wanted to visit since I was a boy and I don't know a lot about it, so trying to research and plan is a bit overwhelming. I'm thinking more of visiting the smaller towns.